Century Cycles Blog: Win a Giant mountain bike from David J. LaSalvia DDS in Westlake! Win a Giant mountain bike from David J. LaSalvia DDS in Westlake! David J. LaSalvia DDS offers dental services for the whole family in Westlake, Ohio. 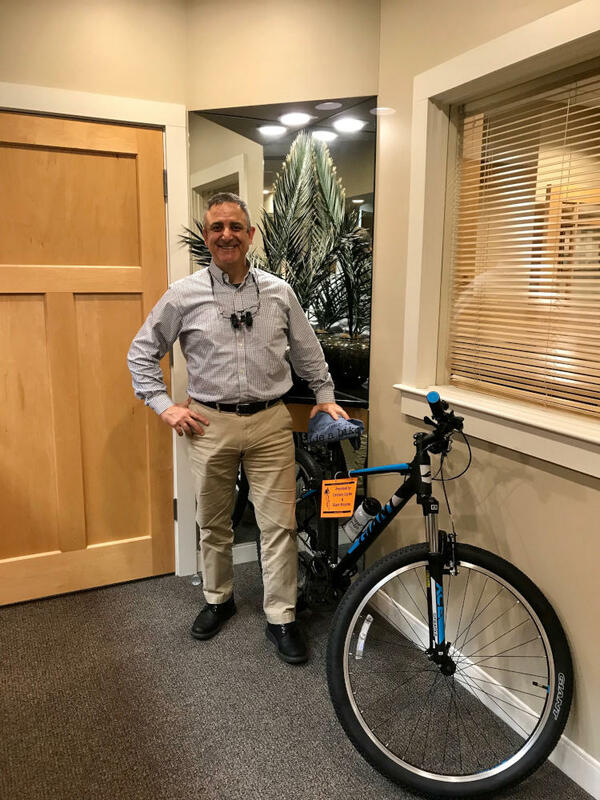 Visit their friendly staff and enjoy outstanding service in their state-of-the-art office, and be entered to win this 2019 Giant ATX 3 bicycle! The bike is valued at $409.99, plus it also includes a kickstand, water bottle with holder, and of course, one of our famous "Define your life. Ride a bike.™" t-shirts! New Electric Bicycles in Stock at Century Cycles!